In part two of this Ableton Live tutorial series on creative composition and production techniques, Professor Nalepa shares some great tips for drum programming and sequencing he picked up from fellow Dubspot Instructor, producer Matt Shadetek. It is a simple and efficient technique you can apply using any software or drum machine to get your ideas down fast when you’re inspired. This method involves creating a linear 2, 4 or 8 bar drum pattern, duplicate it, and add some variations – the key is making sure something interesting is happening every 4 or 8 bar. This is a fundamental lesson in drum programing for all electronic music genres; add variations from bar to bar, even if they’re slight and subtle changes; avoid sounding loopy. 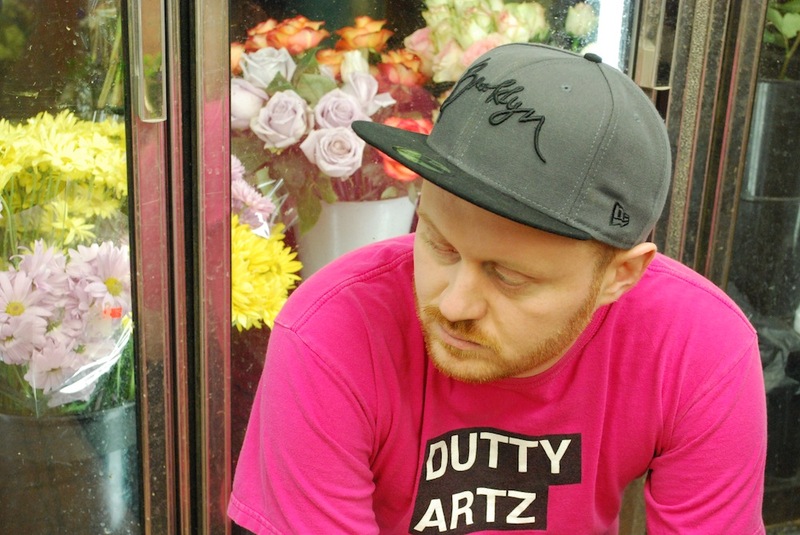 Matt Shadetek has been making beats for 10 years, making a name for himself as half of Team Shadetek, and releasing records on the seminal British electronic labels Warp Records, Tigerbeat6, Jahmek The World, and Sound-Ink. Focusing on dancehall reggae, grime, dubstep, hip-hop and the cracks in between, his underground hit “Brooklyn Anthem” spawned a YouTube dance craze among Brooklyn’s teen dancehall dancers who call it the “Craziest Riddim.” He is currently working with the Dutty Artz family, which he co-founded with DJ Rupture. The track used at the end of this video is “Dem Nuh Like It Instrumental” otherwise known as “Wonton Garden Riddim” from Matt Shadetek’s Dutty House EP, out now on Dutty Artz. Get it on iTunes, | Amazon, Juno, Boomkat, and all fine digital retailers. For further exploration of Ultrabeat and drum programming in Logic Pro be sure to check out Dubspot’s new six level Logic Pro program designed by Matt Shadetek. In the six levels of the course, both in Dubspot’s new online school and physical classroom in New York City students will learn to create a four track EP, starting with a set of musical sketches and developing them over the course of six levels, refining their craft as they advance. Steve Nalepa is an LA-based producer, professor, Dubspot Instructor and Ableton Live expert. He’s produced tracks and collaborated with everyone from legends like Bill Laswell and Pharoah Sanders to rising electronic music artists Nosaj Thing and The Glitch Mob. For deeper exploration of Ableton Live I recommend checking out Dubspot’s new (in-house or online) courses on the program. Working together with Dubspot, we have created an online Ableton Live curriculum designed to take you through the complete process of finding your own unique style and creating a body of work – learning Ableton inside and out! (inspired by my advanced classes I teach at Chapman University Conservatory of Music). The goal: to become a well rounded producer. I am thrilled with how it has turned out, Dubspot’s talented Pat Cupo created the videos for the online class, taking my course design and actualizing it in a brilliant way. The weekly video tutorials will supplement this great course. The flagship of our music training, with every Ableton course offered at the school. Finish tracks at every step of the process for an EP and earn the Dubspot Producer’s Certificate in Ableton Live. This program is about learning Ableton Live by going through the entire process of being an artist, from developing your sound through a series of sketches while getting familiar with the application to creating a fully-fleshed out four song EP. You will create a remix and submit it to an active remix contest, score a commercial, and learn valuable insider tips and techniques. Excellent tutorial. Even the free instructional content is top-notch – nice work Dubspot.